GRETNA – A woman who received a knee replacement claims she was injured after defective knee cement was used in the operation. Gay Carol Manning filed suit against Johnson & Johnson Inc., Deputy Orthopedics Inc. and Mark Starring and Associates Inc. in the 24th Judicial District Court. Manning asserts that that on Feb. 17, 2003 she underwent a total knee replacement at Northshore Regional Medical Center and lived with the implant for a decade without serious issues. The plaintiff claims that on Dec. 18, 2013 she underwent a revision surgery to replace certain components of the implant with new components provided by Depuy Orthopedics Inc. including the addition of bone cement with an antibiotic additive to ward off infection. Manning alleges that shortly after the revision she experienced swelling and severe pain in the knee, for which she had to take pain medication, and that the after effects have also affected her ability to walk. 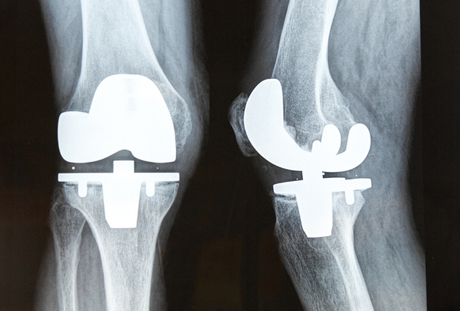 The plaintiff contends the bone cement produced and sold by the defendants failed to meet manufacturer guidelines and did not adhere to her bones causing loosening and instability in the knee implant. The defendant is accused of providing an unreasonably dangerous product in composition, unreasonably dangerous product in design, failing to provide adequate warning, non-comformity with expressed warranty, dangerous sterility methods and not sufficiently testing and studying the product. Manning is represented by M.H. Gertler of the New Orleans-based Gertler Law Firm LLP.